I believe vertical ventilation works, like it did in this video!! The problem that most departments have is getting 4-6 hose lines into operation, and vent a roof, within 4 minutes because of staffing. If you can coordinated venting-water application it works. The thing UL/NIST are saying what the video showed. That when roof ventilation happens, expect rapid fire growth, which happened in the video. How many Fire Department have as many people responding as LA? Not many!! The point of this is to realize that rapid fire growth occurs when fires have the right conditions, and venting fires in all cases can be dangerous. Agree to a point. I work for LA and still many times all I need is my taskforce. My truck to the roof and one handline. That’s really all 33’s fire required. That’s the benefit of vertical ventilation. It takes what would be a mult handline fire and makes it a one or two line fire. Why do you think we in LA don’t kill that many firefighters? Yes cuz we are well trained and experienced but because of vertical ventilation. It is far superior to horizontal ventilation, but it does take practice. 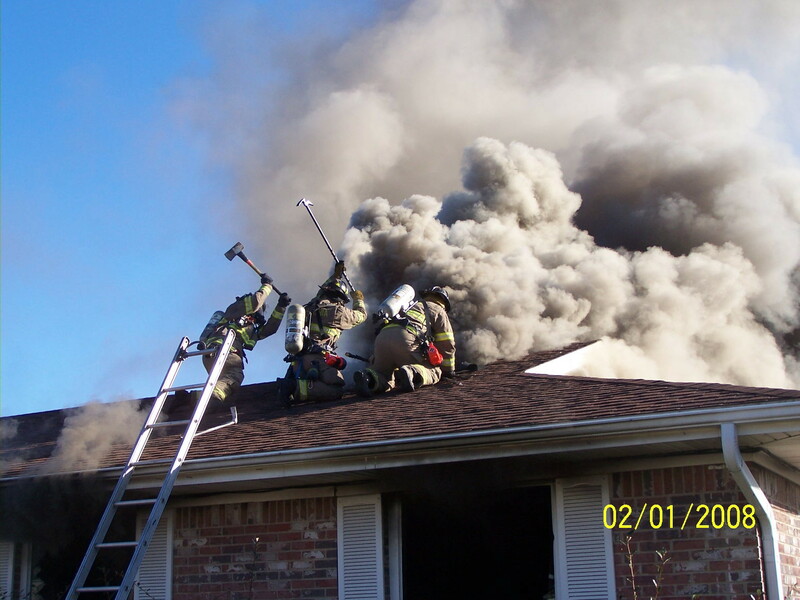 Ventilation is not the problem, its the common timing. FFs on the roof is fine if the roof is sound. But water should be flowing before the roof is opened… end of story! Sure, not may LODD have occurred from members on the roof, but a whole many have occurred because of ‘inappropriate ventilation'(roof ops in many cases). No doubt roof ops have contributed to LODD of brothers on the nozzle inside. What fire did opening the roof kill a nozzle firefighter? I would like to study it and share with my battalion. I’m aware of horizontal venting causing significant fire growth that caused a flashover and nozzle firefighter was killed, because they had failed to flow water. Their failure to FLOW WATER was from improper training. We STILL have fire academies teaching recruits to not flow water on smoke and to be concerned with steam production. I just had a new firefighter “21 y/o tell me that his instructors advised him to not flow water on smoke and when it’s hot smoke to not put water in the overhead. They taught him that water turns to steam and that will burn him. That’s a short version. BADICALLY we have some teaching fire academies for extra money that really do not understand fire attack/tactics. It’s a side job for them. I completely disagree. I’ve been on many fires where we were getting our asses handed to us trying to get to the fire. If it weren’t for good roof ops we wouldn’t have gotten much past the front door. Timing is important hoselines should be going in but flowing? No way. That firefighter was checking for extension in an abandoned commercial building from a dumpster fire and fell thru a skylight. not the same thing. It’s simple guys. Venting the roof works. The important thing here and what we need to teach and preach…… take your time, use roof ladders, and use all your tools, especially the one God gave you, use your brain it might save your life. If I’m inside on a hand line inside and someone horizontally vents without me asking and I make it out. Me and that person will have a short talk about them finding a new line of work. I am unaware of ANY adverse affects of opening the roof on any type of building fire, where water is available for the engine company. operating on a roof is not any more or less dangerous than traditional engine work. As for manpower, 2 or 3 guys are all that are needed ON a roof to be effective. I don’t know where the fallacy that you need tons of guys on the roof comes from, which subsequently makes departments thing they don’t have the manpower to do traditional truck work. Two guys can make a nice hole on most dwellings. We have seen sevaral members burned over the past year and the cause of these burns…NOT FLOWING WATER! Curt is correct, we have to change the way we are teaching our young firefighters. The first thing is developing new standards, 1403 may be protectecting these members during training, but it’s also getting them hurt in the real world! I dont believe we need to go back to throwing tires on a couch or pouring out 5-gallons of flammable liquid to create real fire enviroments. However, unless students see, feel, and understand how these low mass plastics burn and produce massive amouints of heat, they will continue to think that three blast of water will put out anything! Let’s teach them what is really burning, how water effects these materials, and how ventilation when timed with charged hoselines still works! Yes, the recent UL/NIST studies are great and should be used in our training. However, this information should be used correctly and demonstrated. It’s like everything in the fire service; theres a time and place for everything! Remeber when everyone thought that no fire could ever be extinguished again without PPV? While I strongly believe in vertical ventilation, this video is far from a great example. This fire was vented prior to arrival by two giant open roll up doors. An aggressive fire attack and water application put out his fire. This building was likely to have exposed roofing members with fire impingement on them. The chance of trapped occupants is slim to none in a commercial occupancy during the day. Roof operations on his building could be considered dangerous and unnecessary. The only thing you effectively vented was the small space between the top of the roll ups and the roof. Though it is partially vented through the door the effect of vertical vent on that fire is dramatic.